Do you want to receive a €40 gift? Hurry up and subscribe before 15 May: you’ll receive a €40 discount on your bill*. *The rebate on your bill will be discounted on the first bill after 20/7/2019, where said date is included within the billing period. Carrying out operations online and via the cell phone app. Electronic bills. You’ll have a fixed price, 24 hours per day, without surprises on your bill. What is the One Tariff? Activate this service and you will pay the same amount each month for your bill and avoid nasty surprises on your bill. With this free service, you can obtain all the information and advice you need regarding your electricity consumption. Recommend One Luz to a friend and win €30. What is the One Gas Tariff? With the One Gas Tariff from Endesa you will have a fixed price and will be able to manage everything you need online. You will always have a competitive price, not only during the first year. We are offering you Endesa’s best online price. One Gas is a 100% online tariff, which will enable you to carry out all your processes in an easy and simple manner, 24 hours per day, in the "Customer Area" section on the online office or by downloading our mobile application. You can simply sign up for what you need, without having to subscribe to additional services but with the possibility of doing so if you wish. There is no minimum commitment period. You will receive an email indicating the date and the link via which you will be able to access your electronic bill as soon as it is available. A simple, easy and cost-free way of contracting the service and without any supply interruptions. This is a tariff for ALL customers, both new and existing customers. What are the advantages of the One Tariff? You will enjoy Endesa’s best online price. You will be able to carry out all your processes entirely online. The One Gas Tariff is valid for supplies with an access tariff of 3.1 or 3.2. What is the signing-up process for the One Gas Tariff? Signing-up for the Endesa One Gas Tariff is very easy. You can start your signing-up process from our catalogue of products, through campaigns or promotions, from the product comparison, or from your “Customer Area”. Chose the One Gas Tariff. Check the general and particular conditions of signing-up. Access and then fill in the fields of the corresponding online signing-up form. “Your details”: let us get to know you in order to offer you the best possible service. Provide us with your personal details and correspondence address. If you are already an Endesa customer, and if you wish to, we can recover your details. This way the online signing-up process will be easier. Which is your reseller company. Your CUPS number or the supply point address. If you are not the title holder of the contract, it is not a problem, when signing-up we will change the title holder. Your order summary: you can view a summary of the products you are signing-up for. Your payment details: add the bank account from which you wish to pay your bills. If we do not have the bank account you give on record, we will attach a direct debit order. Your confirmation: all of the details that you provided us with will be shown. You can follow your signing-up process via Mi Endesa. Once you have signed-up, you will be able to consult your request in detail, we will inform you of the contract number and we will send you an email to the address you have provided from which you can download the general and specific conditions that you have previously accepted. By signing-up online the electronic billing service is automatically activated, and you will begin to enjoy the benefits. If you would like to find out more, click on electronic billing. 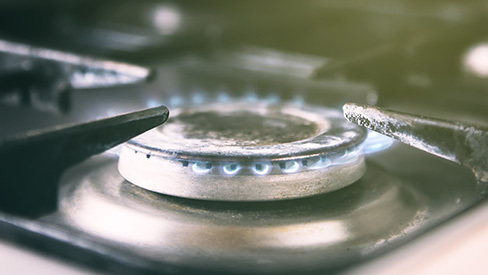 How does the price of my One Gas Tariff contract change? The price of my One Gas Tariff contract will be able to be updated on the 1st of January after signing-up with the real CPI value (latest general interannual Consumer Price Index officially published at the time of the update), as well as through fluctuations that the current regulated components undergo regarding gas supplies, as well as with possible new changes that can be approved. Should there be any modifications in the price of your contract, either an increase or a decrease, they will be transmitted to the customer, This type of modification is regulated and is completely out of Endesa’s control, as it is also applied across the whole country and to all companies. Additionally, it is possible to review the price one year after signing-up. This will happen in either April or October each year. Should there be any changes we will inform you one month in advance. Remember that you can at any time terminate the contract, sign-up for another Endesa tariff or a tariff from another company. What are the regulated components? This is a part of the price that you pay for the fixed term and for consumption on your gas bill. This amount mainly goes to the maintenance of the infrastructure that allows the gas to reach your home. This part of the price is set by the government and it is the same for all companies across the whole country. They are normally updated by being published in the Spanish State Gazette (BOE) once a year, although on occasion this could happen at other times. The rental prices of the measuring and control equipment (meter), hydrocarbons, VAT, IGIC (Canary Islands) etc. are also regulated. When a change in any of the regulated components occurs, the company normally transmits this to the customer, whether it is an increase or a decrease. Is there an obligation to a minimum commitment period if I sign-up for the One Gas Tariff? No. You can choose the best offer for you at any time, and if you are not convinced, you can change it whenever you want. With the Endesa One Tariffs there is no minimum commitment period. I have another tariff with Endesa, can I change to the One Gas Tariff? If you have a different tariff to the One Gas Tariff, you can change to the One Gas Tariff without any problems. However, if you already have the One Gas Tariff, you cannot leave to sign-up for it again. How long does the One Gas Tariff last? The One Gas Tariff has no minimum commitment period: you can leave whenever you want, at no cost. Even so, the One Gas Tariff contract has a duration of one year, and is automatically renewable. What can I sign-up for with the One Gas Tariff? Once you have completed the online sign-up form and your request has been processed, the activation of your contract will take approximately 3 weeks (if you were already with Endesa Energía the change will be much quicker). Once the contract with Endesa has been activated you will receive you last bill with your previous company (if you were already with Endesa it will be the last bill with your previous tariff). You will receive your first bill once the first billing period with Endesa has passed. How often will I receive the bill? Normally, you will receive your energy bill every two months based on real readings, that is to say you will be billed based on your energy consumption on the real reading of your supply meter. Note: If the technician cannot access your meter the reading must be estimated. This normally happens if the meter is inside the house and nobody is home. If you want, you can provide the reading yourself via our website. This is another one of the facilities that we offer you with the One Gas Tariff. (1) This offer is valid for supplies with tariff group 3.1 and 3.2. Want to know savings you'd get your rate ONE? Enter your power contracted kW If you do not know, 4.6 kW is the power of a typical Spanish average household. Always eager to hire ONE Forever gets both in terms of power and energy, a discount of 5%. If you also servicing contracts OkLuz, you get a discount on the term of power and energy for a year of 5%. Get an additional discount if more than 50 % of your consumption is in off-peak hours. The person named on the contract is responsible for ensuring the documentation is correct and valid for accrediting the professional use of the supply point.